Get Customers, Get Funded, and Get on Stage at Events Around the US. Over 2 Million in funding and prizes available! and/ or more events in NYC, New Orleans and Las Vegas! We are looking for the best companies in the world to invest in and accelerate the way we helped hundreds of others raise over a billion dollars and help change medicine forever. Do you have an idea that will help people live longer, healthier lives? Then we want to enable, encourage, and invest in you. Finalists will be determined by review of the MedStartr Mentor network, the vast crowds that will come to the site to review your projects, and the MedStartr Ventures Investment Review Committee. Apply to win and let's get your company found and funded faster today! Welcome to the 2017 Grand National Challenge! Throughout 2017 MedStartr has been holding pitch contests in different cities around the US in order to find the best healthcare innovations to accelerate and invest in. It has gone great and we have found some amazing companies. Now as we near the end of the our first year, we want to find 8 more companies to accelerate and invest in. We invite you to apply to win if you want your company to accelerate wildly in the next few months. Our past clients from as far back as 2012 Misfit Wearables and to as recent as last year's Twiage have grown by leaps an bounds after winning our contests. Up to 25 teams will be invited to New York, New Orleans or Las Vegas in the coming weeks to compete for over $2 Million dollars in funding and services. Each team that enters the MedStartr Acceleration Program (MAP) will recieve up to $250,000 in funding and services that most startups in healthcare greatly need. As in all MedStartr Crowd Challenges, all pilots, partnerships, funds raised, investors engaged, and traction you get are yours to keep. On October 6th and 7th in Las Vegas or November 30th and December 1st in New York City, the top teams will be invited to NYC to compete on stage at the Healthcare FInancial Summit (Vegas) or MedStartr Momentum 2017 (NYC). The HealthTech Investor Symposium at the HFS and MedStartr Momentum will attract just the right crowd to help propel your innovation. As in all MedStartr Crowd Challenges, teams get to the finals by how much the crowd and judges like, follow, try, positively review and engage with the ideas. Especially important is when qualified individuals and companies offer to adopt, pilot, partner, or invest in the ideas. Speaking of which, you can also help us pick the best and cast your vote here! How does a MedStartr Crowd Challenge Work? Essentially, we use our crowdfunding platform to determine which projects are the best. But not just any crowdfunding, MedStartr is designed just for healthcare innovations and crowds that love them. We know that while the patients are the ultimate beneficiaries of most innovations, they often do not "buy" healthcare innovations directly like you would a movie ticket or a new gadget. This is why on MedStartr you not only tell your story to patients, but also to doctors, partners at large companies, hospital leaders and investors. Once our community members and stakeholders see the interest of crowds of patients, care providers and other stakeholders for your company, very often partnerships and pilots will follow. Thousands of such relationships have begun during MedStartr crowd challenges and these pilots, partnerships and investments are a key determinant of success in healthcare innovation success. We also ask a crowd of amazing mentors and judges to review your projects and tell us what they think. 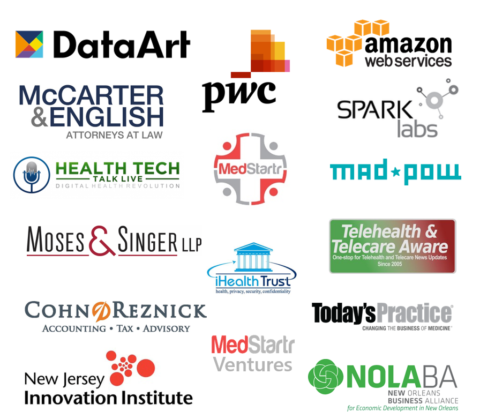 Based on this massive amount of data and feedback, we will invite the top teams to pitch at events where hundreds of healthcare stakeholders representing patient communities, physician networks, hospital systems, partners, and investors will hear your pitch and also help make the final judgement. Winners of the final pitch contest are all then examined by MedStartr's Investment Review Committies to determine if they are ready to enter the MedStartr Venture Acceleration program in exchange for a small amount of equity in your company and pro-rata rights to invest in your next round. Teams that win our contests accelerate rapidly and regularly grow 5-10 fold in the following 90 - 180 days. Read more about how crowd challenges work here. This contest will be judged by leaders from large healthcare comapnies and institutions that may want to partner, adopt, or license your technologies; members of the MedStartr Mentor Network and the global community of people who care about healthcare innovation. Get a crowd behind your idea that wants to try, adopt, pilot, partner, and invest in your vision and you will get to the finals. It is that simple. On stage you will be judged by a panel made up of the key healthcare stakeholders: Patients, Providers, Partners, Institutions, Investors and "the Crowd". If you have a great new idea in healthcare at an early or rapid growth stage, we are interested. For a more detailed listing of some of the areas, please see the official rules. All top teams will be reviewed for inclusion in the MedStartr Acceleration Program which provides up to $250,000 in funding and services healthcare startups need. The package includes design, hosting, software development, legal, accounting, sourcing assistance, introductions, equity crowdfunding assistance, mentors, partner matching, PR, promotional assistance, accounting, manufacturing assistance and much more. Most importantly, in a typical crowd challenge people visit the team's projects over 250,000 times. That is like going to a HIMSS or BIO conference and being shown to everyone five times, While winning a pitch contest or "Crowd Choice" awards are not a guarantee of inclusion in the MedStartr Acceleration Program, if you are otherwise ready to grow quickly, it is rare that you will not be accepted if you win. In a crowd challenge, everyone wins as hundreds of pilots, partnerships, and adoptions worth millions in revenue are also generally closed as well. Apply to win Today!